The Linksys Smart Wi-Fi allows you to create safe and secured networks for your home and workplace even when you are away from your router. All you have to do is create an account with Linksys Smart Wi-Fi and associate your router for you to be able to configure your network settings remotely. To learn more, click here. NOTE: Some of the Tools may not be available when accessing your router settings remotely through your Linksys cloud account. To learn more, click here. 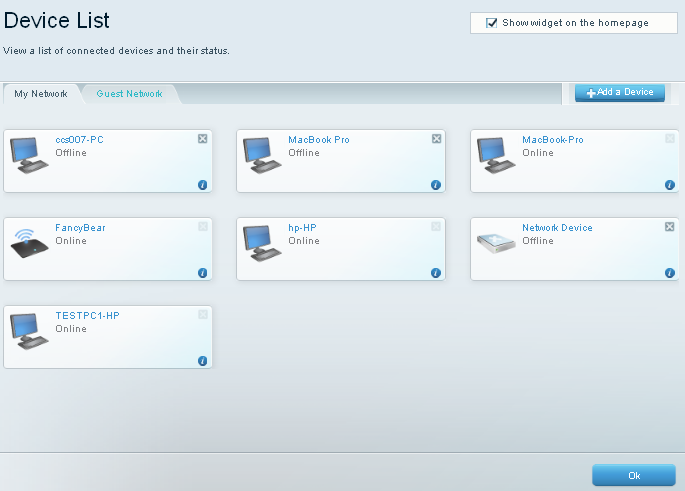 See who’s connected to your network with your Linksys cloud account through the Device List Tool. QUICK TIP: Device List is displayed as Network Map Tool among Linksys EA7300, EA7400, EA7500, EA8500, EA9200, EA9500, WRT1200AC, WRT1900AC, WRT1900AC v2 and WRT3200ACM. To learn more about this feature, click here. If you have multiple Linksys Smart Wi-Fi Routers and you want to associate all of them to your existing Linksys cloud account, simply use the existing email address you used to set up your main Linksys Smart Wi-Fi Router when setting up the other routers. 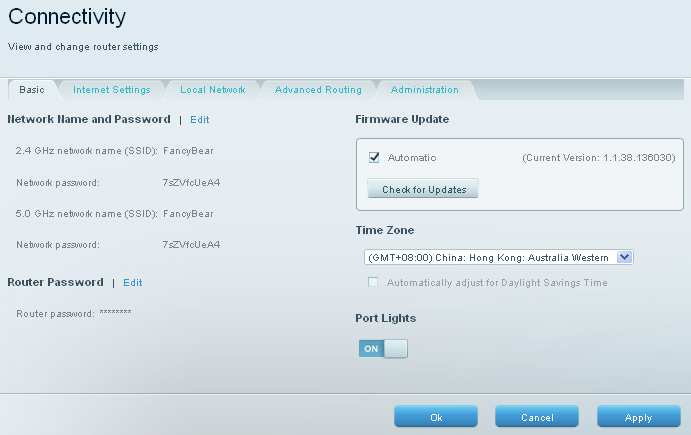 However, if the other routers have already been set up, reset it to factory defaults and go through the setup again. 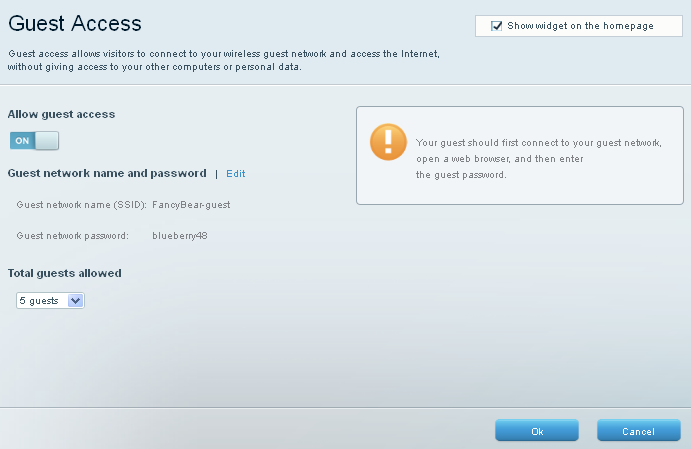 Then, use the email address associated with your Linksys cloud account. NOTE: To know more about the Device List Tool, click here. Provide Internet access for up to 50 guests at home while keeping your network files safe with the Guest Access Tool. This will allow you to set up the Guest Access Tool using the Linksys cloud account and therefore create a separate Internet only network for your guests. For instructions on how to do this, click here. Keep your kids safe from potentially harmful websites with the Parental Controls Tool. This allows you to limit access to the Internet and specific websites for individual devices. NOTE: Learn more about the benefits of safe web surfing by clicking here. 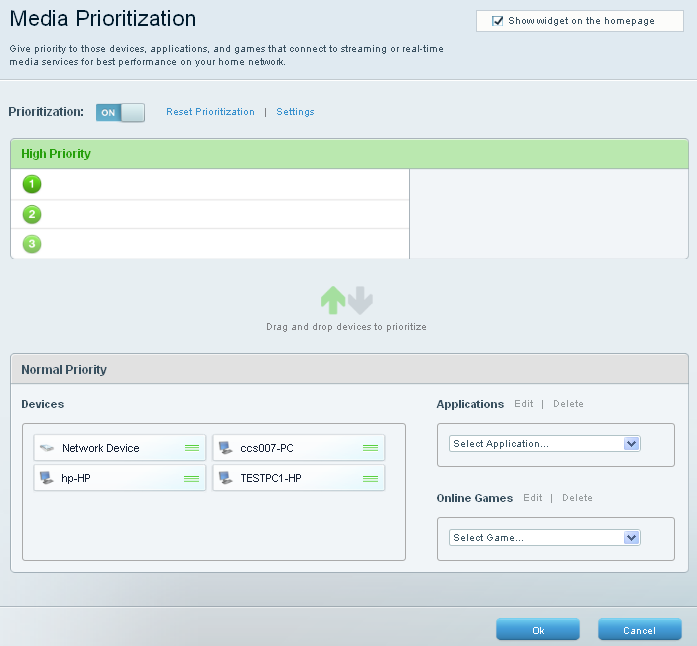 With the Media Prioritization Tool, optimize your online experience by prioritizing bandwidth on applications and devices which need it the most. NOTE: To learn more about the benefits of this feature, click here. Check your Internet connection speed with the Speed Test Tool. This Tool allows you to check your network’s Upload and Download speed. The Speed Test can only be performed on the router locally. Performing a speed test is easy. 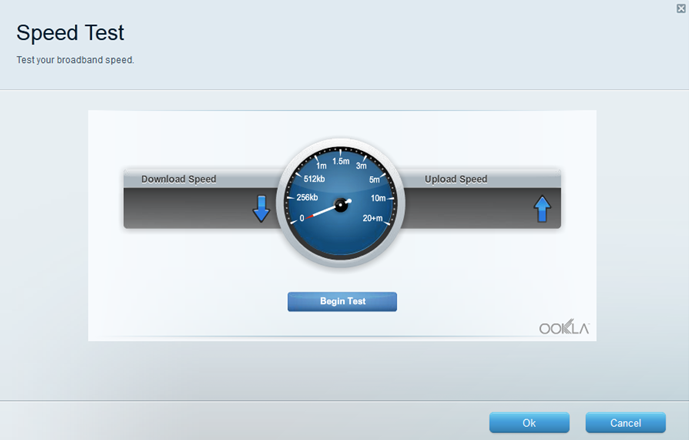 To know how to perform a speed test, click here. NOTE: To know more about the Speed Test Tool, click here. 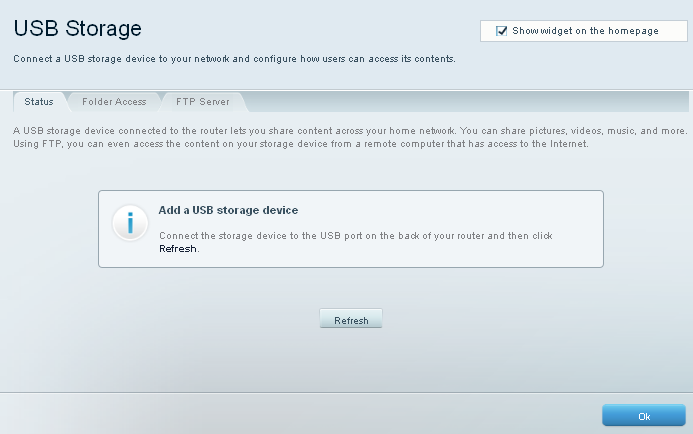 Configure how users can access the files you share to the network with the USB Storage Tool. NOTE: External Storage is displayed as USB Storage among older firmware versions of Linksys Smart Wi-Fi Routers. NOTE: The Linksys Smart Wi-Fi Router, EA2700 does not have a USB Storage Tool and functionality. To learn more about this feature, click here. 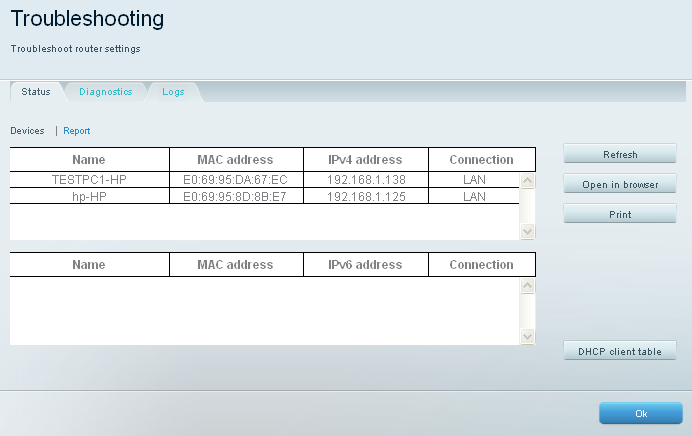 Configure your router’s basic settings for your local network with the Connectivity Tool. NOTE: Upgrading your router’s firmware manually as well as configuring the remote access to the router settings can only be done locally. To learn more about the features and benefits of this Tool, click here. Diagnose and troubleshoot connectivity issues on your network with the Troubleshooting Tool. It contains the current status of your router and connected devices. NOTE: To learn more about this feature, click here. Secure and personalize your wireless network according to your preference with the Wireless Tool. 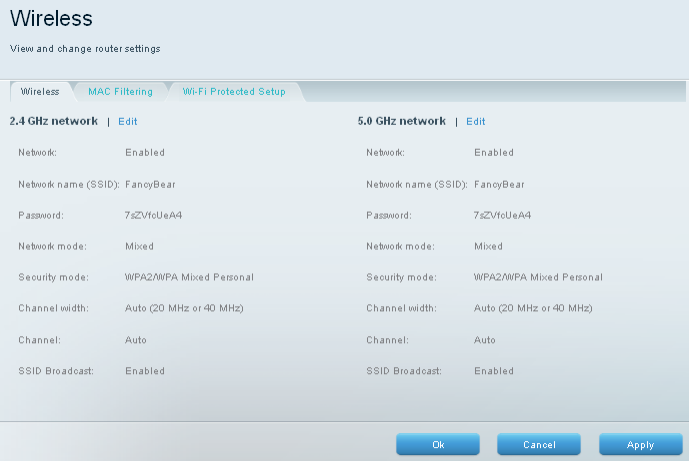 NOTE: The new Linksys Smart Wi-Fi Routers don’t have the option to disable SSID broadcast. However, old Linksys Smart Wi-Fi Routers (EA2700, EA3500, EA4500 and E4200 v2) have the option to disable the SSID broadcast by rolling back to the classic interface. To learn how to roll back to the classic interface, click here. To learn more about the benefits and features of the Wireless Tool of the Linksys cloud account, click here. Keep your network safe from Internet threats with the Security Tool. NOTE: To learn more about the Security Tool, click here. There is a possibility that there will be Wi-Fi dead spots in your home or office. These are locations where there is poor or no signal from the wireless router. Obstructions like walls, furniture and fixtures are some of the factors that cause these dead spots. A solution to this concern is by expanding your wireless network using the Linksys Range Extender. As the name implies, the Linksys Range Extender works to stretch the range of your wireless network by repeating the signal. For more information on how the Linksys Range Extender works, click here.